Kathleen Denise Marshall, 55, of Fort Scott, passed away Saturday morning, December 29, 2018 at the Medicalodge Nursing Home. She was born January 13, 1963, in Fort Scott, Kansas, the daughter of Melvin Lee and Shirley Dean (McCallum) Ransier. She married James Marshall February 7, 1994, and he survives of the home. 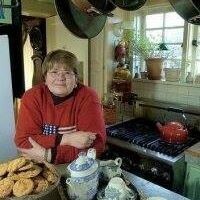 In addition to her husband Jim, Kathy is also survived by her four children; Kayla Reeves of Fort Scott, Kamisha Bassett, also of Fort Scott, Lee Reeves, of Pleasanton, Kansas, and Kalie Eastwood, of Fort Scott; four brothers, Robert McCallum of Pleasanton, Kansas, David Ransier, also of Pleasanton, Kansas, Ernest Ransier, of Kansas City, Kansas, and Billy Ransier, of Fort Scott; two sisters, Charlene Wynn, of Fort Scott, and Carol Hiel, also of Fort Scott; and eight grandchildren, Dalton Reeves, Elijah Bassett, Makiya Reeves, Audrey Reeves, Xzavier Brown, Norah Bassett, Fenton Reeves, and Allie Reeves. She was preceded in death by her parents, and a sister, Mary Jane Ransier. Following cremation, memorial services will be at 2:00 p.m. Friday, January 4, 2019, at the Konantz-Cheney Funeral Home. Interment will take place at a later date at the Trading Post Cemetery. Condolences may be submitted to the online guestbook at konantz-cheney.com. Carolyn Blanche Franklin, 63, of Fort Scott, passed away Saturday evening, December 29, 2018 at Mercy Hospital in Joplin, Missouri. She was born April 11, 1955, in Fort Scott, Kansas, the daughter of James and LeOne Louise (McCreedy) Cullor. She married Richard Leon Franklin December 19, 1973 in Miami, Oklahoma. He preceded her in death March 20, 2009. Carolyn is survived by her children, Jared Franklin, Josh Franklin, and Jessica Franklin, all of Fort Scott; a brother, James Cullor and wife Mary, of Woodland, California; a sister, Linda Cullor Smith and husband Bill, of Mission, Kansas; six grandchildren, Cameron, Courtland, Jayden, Tanis, Josiah, and Henley, and a great-grandchild on the way. In addition to her husband Richard, she was also preceded in death by her parents. Funeral services are scheduled for 10:30 a.m. Saturday, January 5, 2019, at the Konantz-Cheney Funeral Home with burial following at the Memory Gardens Cemetery. The family will receive friends Friday evening January 4, 2019, from 7:00-8:00 p.m. at the funeral home. Memorial contributions may be made to the Carolyn Franklin Memorial Fund and may be left in the care of the Konantz-Cheney Funeral Home, 15 W. Wall Street, PO Box 309, Fort Scott, KS 66701. Condolences may be submitted to the online guestbook at konantz-cheney.com. TOPEKA – The Kansas Department of Health and Environment (KDHE) is looking forward to 2019 and looking back at some of its accomplishments in 2018. Launching the Maternal Mortality Review which includes a review committee focused on implementing a comprehensive review of maternal and pregnancy-associated mortality. Helping to organize and lead the Governor’s Substance Use Disorder Task Force chaired by KDHE Chief Medical Officer Dr. Greg Lakin, presenting a series of proposals to the Governor to combat the opioid epidemic in 2019 and beyond. Introducing the “Count the Kicks” stillbirth prevention initiative with over 326 expectant Kansas mothers having downloaded and used the free CTK app. The KDHE Office of Vital Statistics making birth certificates available online with the PayIt app and opening its new office in Topeka with increased space for customers and a new registration system on the way in early 2019. 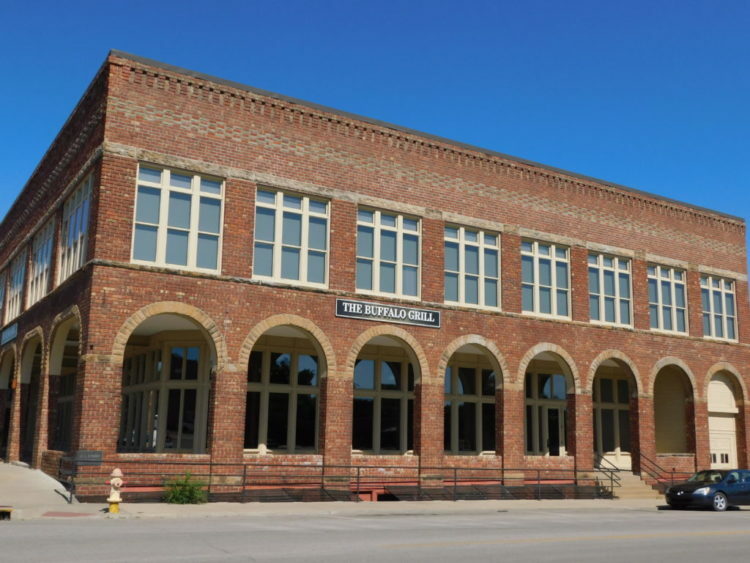 Coordinating its Dry Cleaner Remediation Program, connecting 209 homes to city water in the Haysville area and coordinating with the City of Haysville to complete the design and installation of 8.7 miles of new city water main. Initiating its Private Well Water campaign, including an instructional video for homeowners to properly take a water sample for nitrates and total coliform, a webpage, a public service announcement, flyer and social media infographics. Assisting in the aftermath of natural disasters including the tornadoes in Eureka and flooding in many counties across the state. Monitoring our rivers, streams, lakes and ponds for harmful algal blooms. Approval of the state’s 1115 waiver extension application granting the state of Kansas the authority to operate KanCare, the state’s managed care program. Awarding a new MCO contract to Aetna and holding statewide KanCare education meetings to explain the changes that will occur in 2019. Effective Jan. 1, 2019, handling training and quality at the KanCare Clearinghouse for Medicaid eligibility. Effective, July 1, 2019, the state will take over responsibilities for the processing of elderly and disabled applications. 10:00-10:30-Lora Holdridge and Clint Anderson-Executive Session-Non elected personnel-20 min. Executive Session-Privileged in the attorney-client relationship-15 min. 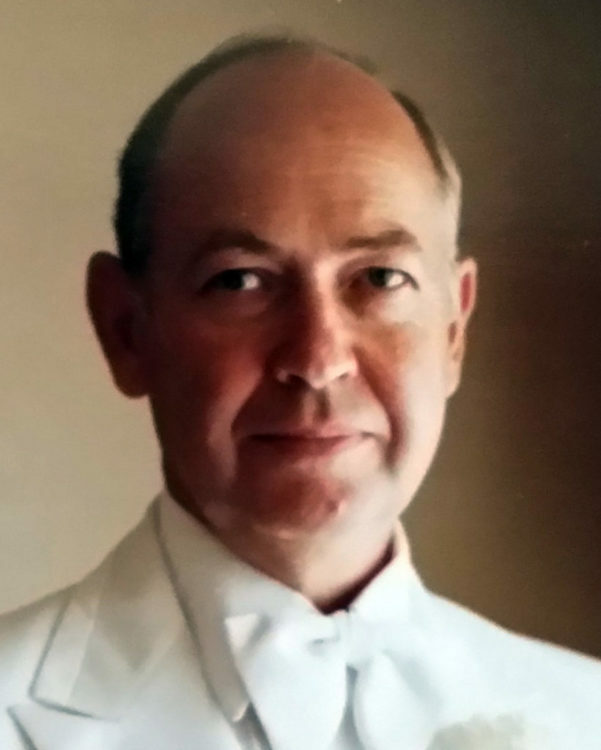 Edward Blair Byerley, 91, passed away peacefully on December 24, 2018, at Country Place Senior Living Center, Fort Scott, KS. Ed was born in Mapleton, KS, on 20 April 1927. He was the only child of Blair D. “Sandy” Byerley and Myrtle P. Byerley (Brown). Ed graduated from Fulton H.S., KS, in 1945 and joined the U.S. Navy shortly thereafter. Ed married Eva M. Byerley (White) on April 27, 1947. 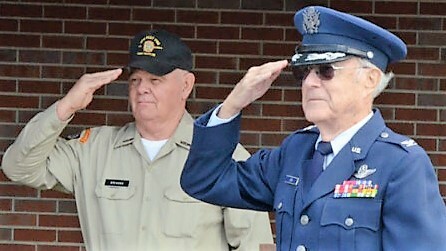 He worked his adult career for The Western Insurance Companies from September 1946 through 1986, supervising the computer room operations at the time of his retirement. Ed and Eva moved from Fort Scott to Sun City West, AZ in the 1980s, where he enjoyed golf, bowling, and the warm weather. Ed is survived by his wife, Eva, three sons, six grandchildren, and one great-grandchild. There was cremation. 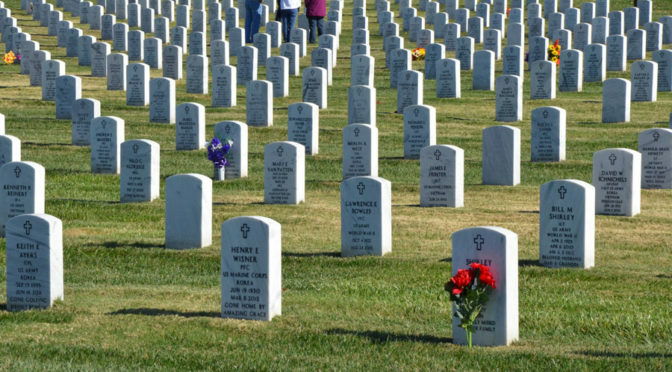 Memorial services will be announced at a future day by the Cheney Witt Chapel with burial at Fort Scott National Cemetery. 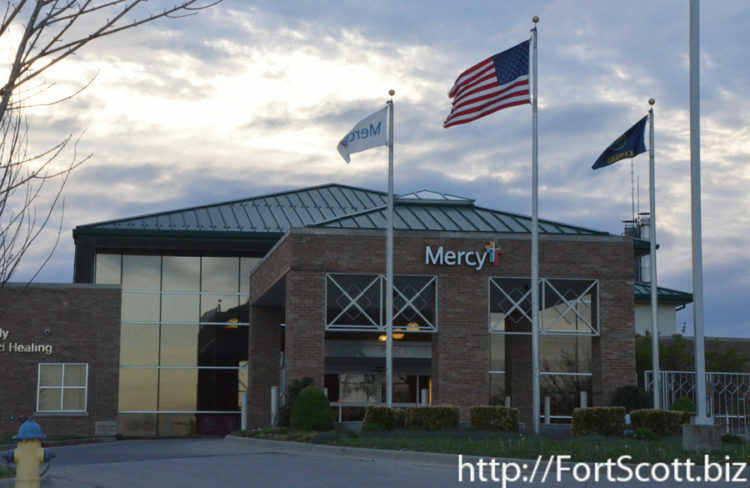 “The (Mercy Hospital) emergency room will operate as Mercy until Feb. 1,” said Tina Rockhold, whose last day as the communication director for Mercy Hospital Fort Scott was Dec. 28. “Convenient Care is closed Jan. 1 (because of the New Year’s holiday) and will be open Jan 2, with the same hours and phone number,” Baker said. The phone numbers will remain the same for the clinics, Rockhold said. Mercy Convenient Care on National Avenue’s phone number is 620-223-8428. 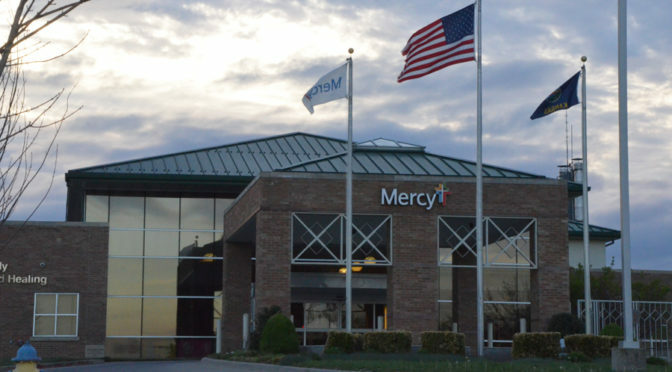 Mercy’s Clinic at the hospital is 223-8402. The Mercy Emergency Room can be contacted by phone through the main Mercy phone line at 223-2200. Patients who plan to transition care the CHC are required to complete a medical release form. This will allow past medical records to be uploaded into the CHC/SEK electronic health records so providers can view a patient’s medical history once they are seen as CHC/SEK patients. Parents and guardians may complete a release of medical records for those patients less than 18 years old. A durable power of attorney designation is necessary to complete a form for anyone older than 18 who is unable to sign. An online release of medical records is available at https://tinyurl.com/chcsekROI. Filling out online takes about 10 minutes or less. To complete a hard copy form, please contact Jessica Marsh at jessica.marsh@mercy.net or call 620-223-8515. Completed forms may be mailed to Jessica Marsh; Mercy Fort Scott Medical Records; 401 Woodland Hills Blvd. ; Fort Scott, KS, 66701. Begin the New Year connecting with the outdoors by taking a healthy hike at Crawford State Park. Meet January 1 at 10 a.m. at the Beach Shelter. Farlington, Kansas, just over the Bourbon County line off Highway 7 in Crawford County. Crawford State Park can be reached at 620-362-3671. The trail is moderate difficulty. Pets must be on a leash. Wear weather appropriate clothing, including water-resistant boots. Contact/cancellation info: 620-362-3671. Tag #FirstDayHikes and #NoPlaceLikeKS. Recently the Kansas Water Authority (KWA) met in Wichita for their December meeting. The KWA received updates on water priorities in the state but two main topics were the focus: 2019 Surplus Water Report and the Annual Report to the Governor and Legislature. The KWA received updates on vital water projects and issues in the state including current interstate compacts, the Kansas Water Reservoir Protection Initiative, Harmful Algal Blooms as well as the Water Technology Farms. The KWA approved the 2019 Surplus Water Report, and agreed to allow the Kansas Water Office to enter into Feasibility Cost Sharing Agreement with the U.S. Army Corps of Engineers for the Kansas River Reservoirs Flood and Sediment Study. The KWA approved the 2019 Annual Report to the Governor and Legislature and they also heard a presentation regarding non-public household water wells. The host was American AgCredit and the lunch was sponsored by KITS and 96 Agri Sales. The KWA is responsible for advising the Governor, Legislature and Director of the Kansas Water Office on water policy issues. They also ensure that water policies and programs address the needs of all Kansans as well as serve as advisors of the Kansas Water Vision and Kansas Water Plan. The KWA was established in 1981 and consists of 13 voting members who are appointed by the Governor or Legislative leadership. State agency directors serve as ex-officio members. The next meeting will be in Topeka, Kansas in January. The KWA meetings are throughout the year and for additional information and other upcoming meetings, visit www.kwo.ks.gov. Click below for the reports. Taken by Martha Meinsen Scott. Apricot sesame chicken with garlic-sour cream noodles. I like easy chicken recipes. One that you can throw in the oven and in 30 minutes or an hour you have your dinner entree. This is good and easy and I like the hint of cinnamon. My favorite way to serve it is with Garlic-Sour Cream Noodles (really linguine). In a large skillet, melt butter over medium heat. 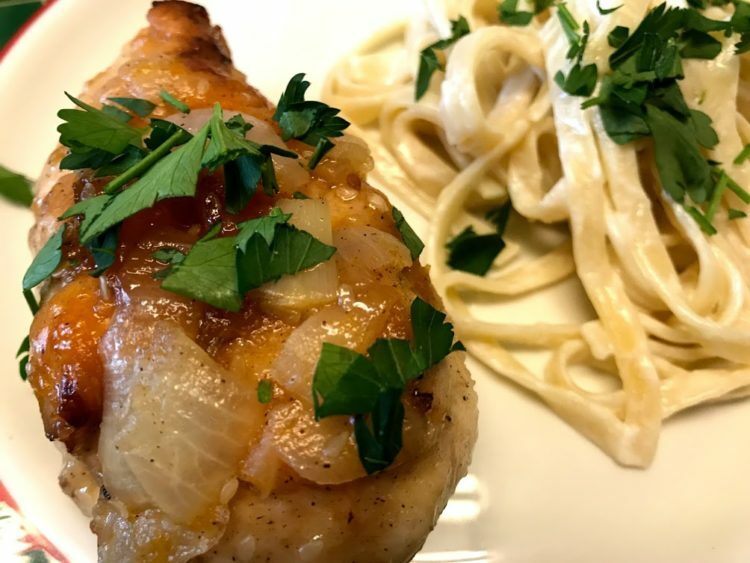 Roll chicken breasts in seasoned flour and place in skillet. Saute breasts until lightly browned on each side, then place in a 9 x 9 glass casserole. Melt ¼ c. butter and sautee onions and sesame seeds until onions are tender. Add apricot preserves, cinnamon and pepper, cooking until preserves are dissolved, and sauce is smooth. Pour sauce over chicken breasts, cover tightly (I use foil) and bake 40 minutes at 350 degrees. 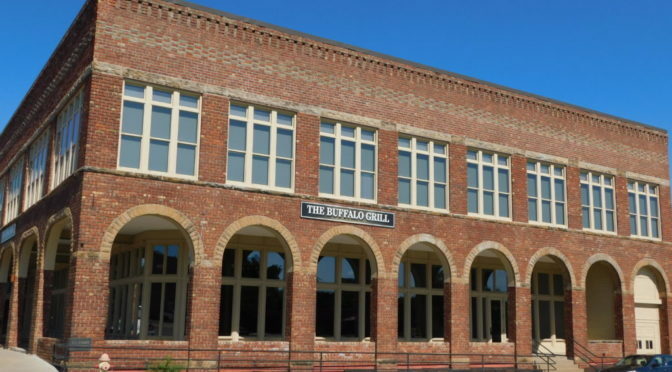 The Buffalo Grill was purchased in May 2018 by Al Niece, the River Room Event Venue is located on the second floor. New Year’s Eve at the River Room Event Venue consists of a cocktail party, catered dinner and live music with dancing. The cocktail party with live music by The Gary Thompson Trio is from 6:00 PM to 7:30 PM. The dinner, catered by Crooner’s Lounge with live music by the Gary Thompson Trio from is from 7:30 to 9:00 PM. There will be a live concert and dancing with MultiPhonic from 9:00 PM to 1:00 AM. Tickets are $50.00 per person which includes dinner, live music and a champagne toast at midnight. Seating Arrangements will be at tables accommodating eight people per table. For more information or to purchase tickets call 620) 224-9787.